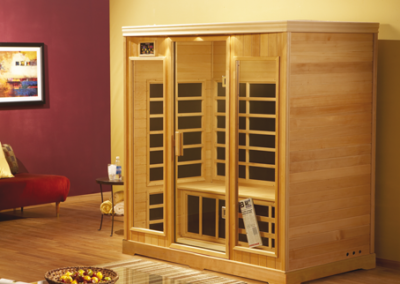 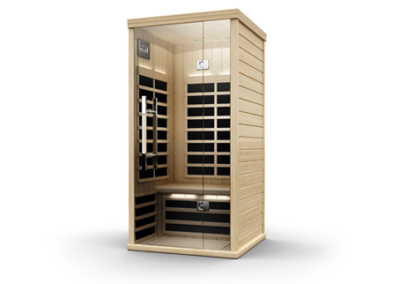 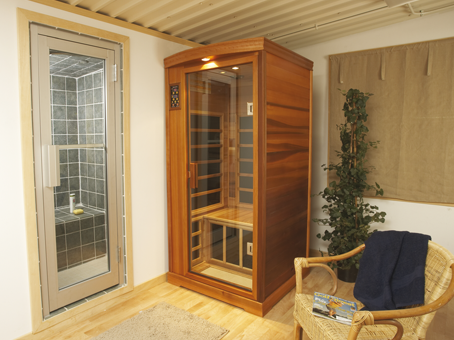 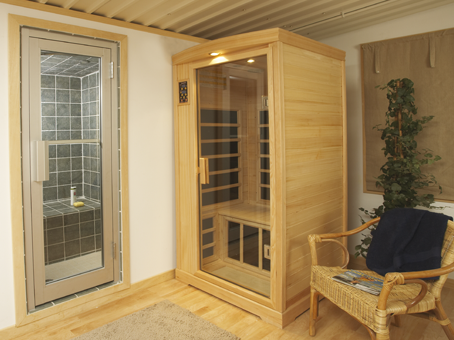 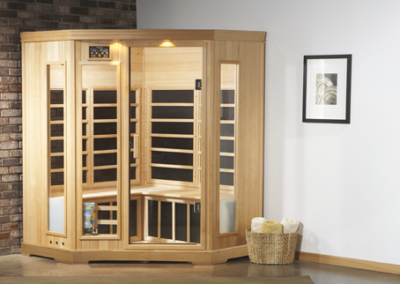 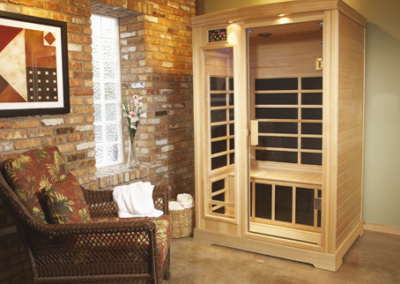 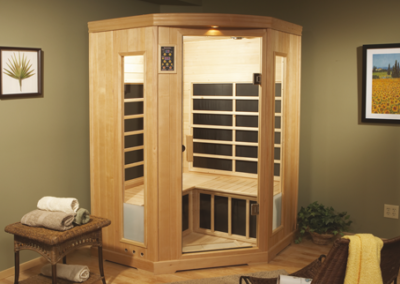 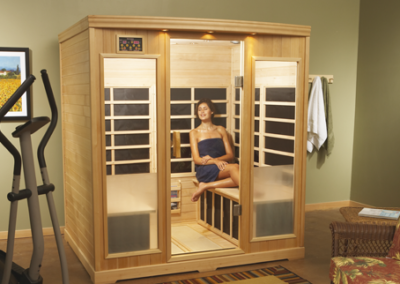 Ideal for those having minimal space available and/or those using their sauna solo, the Model 810 has a foot print of only 9 sq. 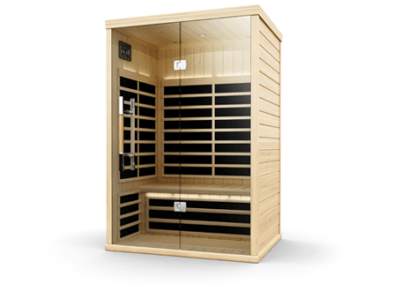 ft. With all the Premium Line features, The Model 810 has the same luxurious features as larger models but is packaged as our smallest model. 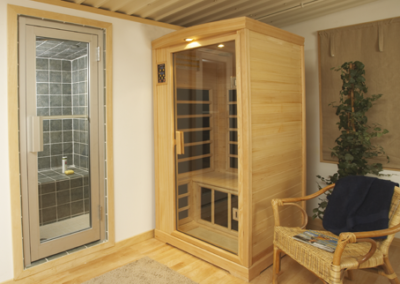 “Lack of space” is no longer a limitation. 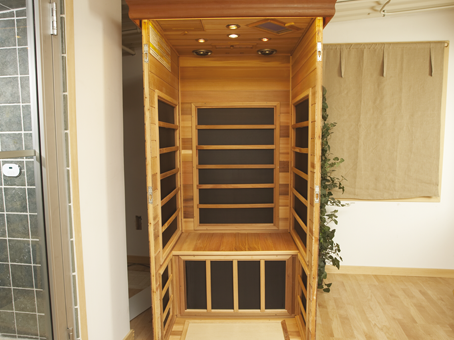 This model can be installed into a corner of almost any room – even into a walk-in closet.